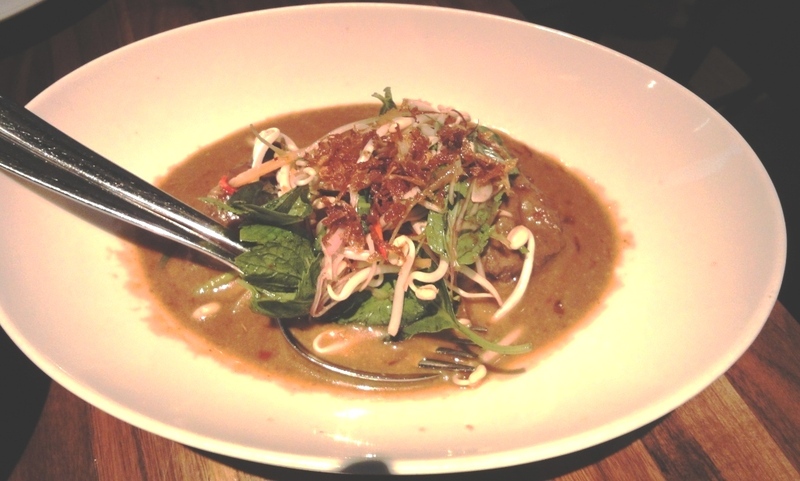 What is Bib Gourmand restaurant? 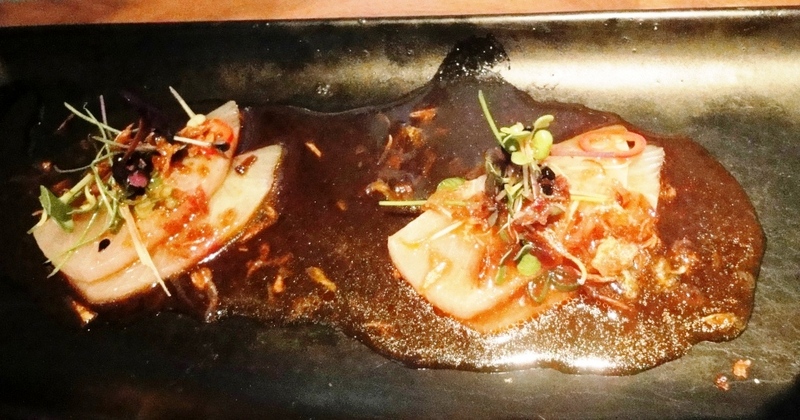 You can find reviews of these restaurants at reijosfood.com via links. 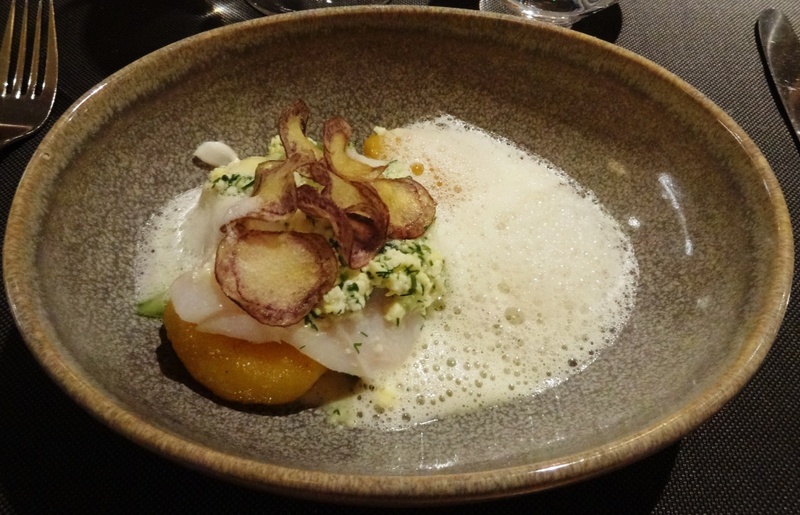 Amazing that first three restaurants are owned by same chef’s, Tomi Björk and Matti Wiberg. 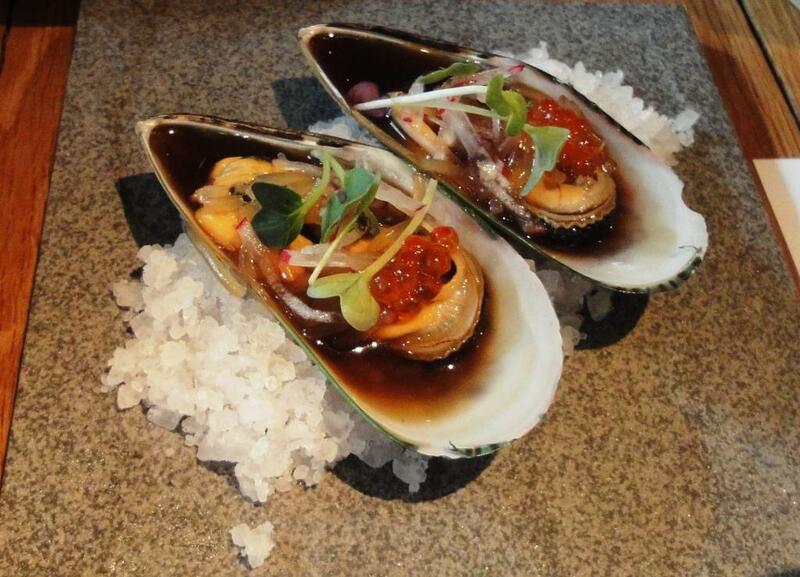 They have just opened 4th restaurant Bronda, which will be reviewed by Restaurant and Wine epicure (reijosfood) in April. Maybe next year it will be designated as Bib Gourmand restaurant? Emo and PureBistro are partly owned by Michelin star restaurant chef’s; Emo is little sister for Olo and PureBistro for Luomo. Grotesk and Solna lost their Bib Gourmand designations. 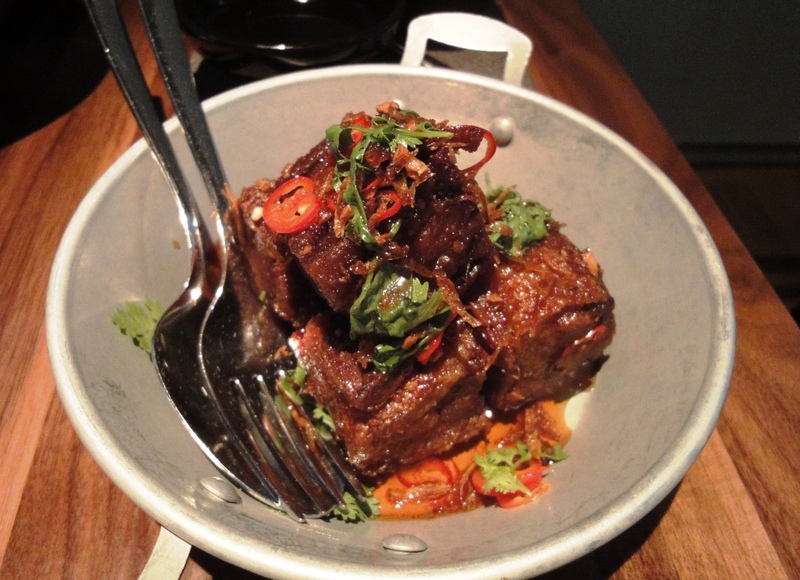 Would say that at least 3 of the designated restaurants have earned to be on the list; Emo, Farang and PureBistro. 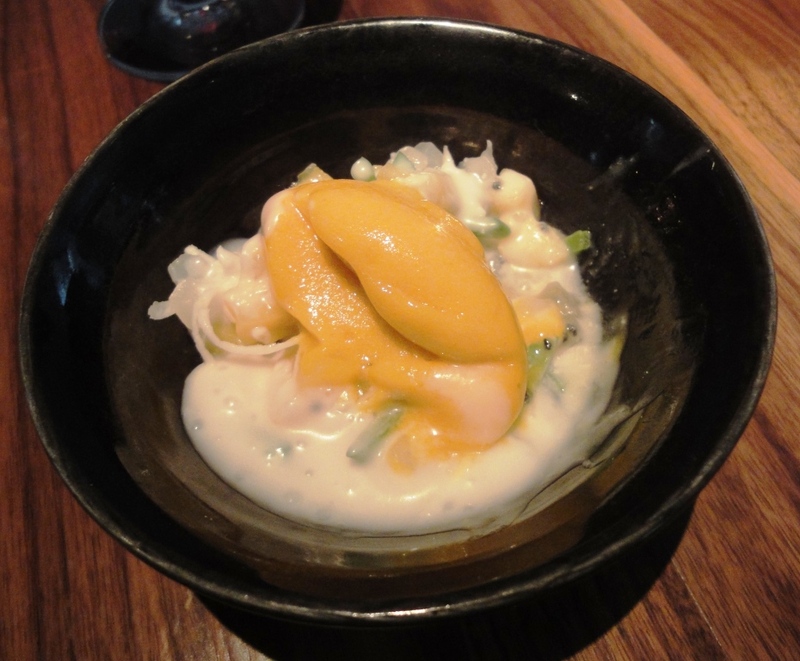 Now that Michelin Guide have chosen 3 “ethnic” kitchens, Yume could replace Gaijin. 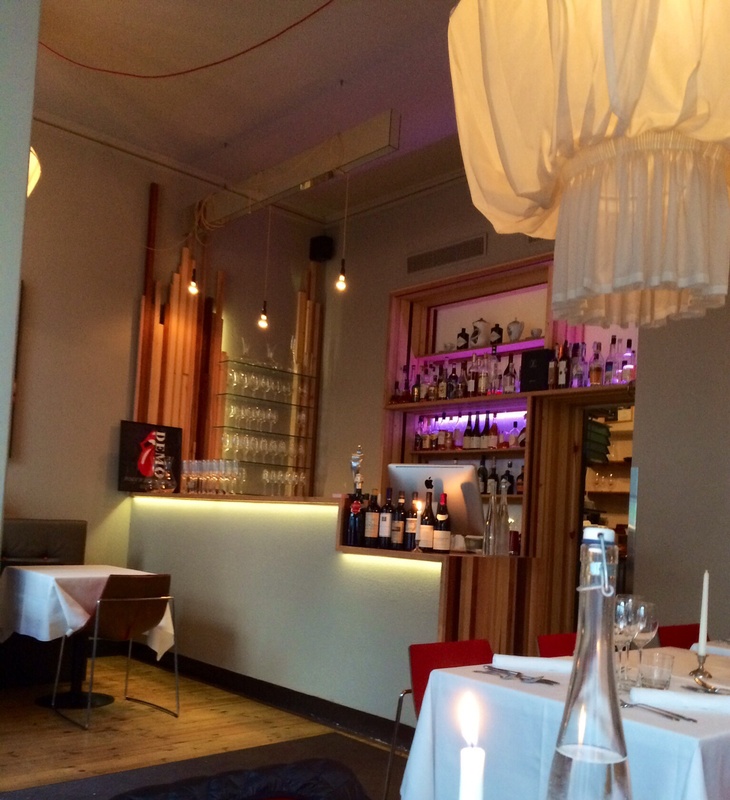 But as it is owned by Kämp Group not by chef’s, it might be obstacle. 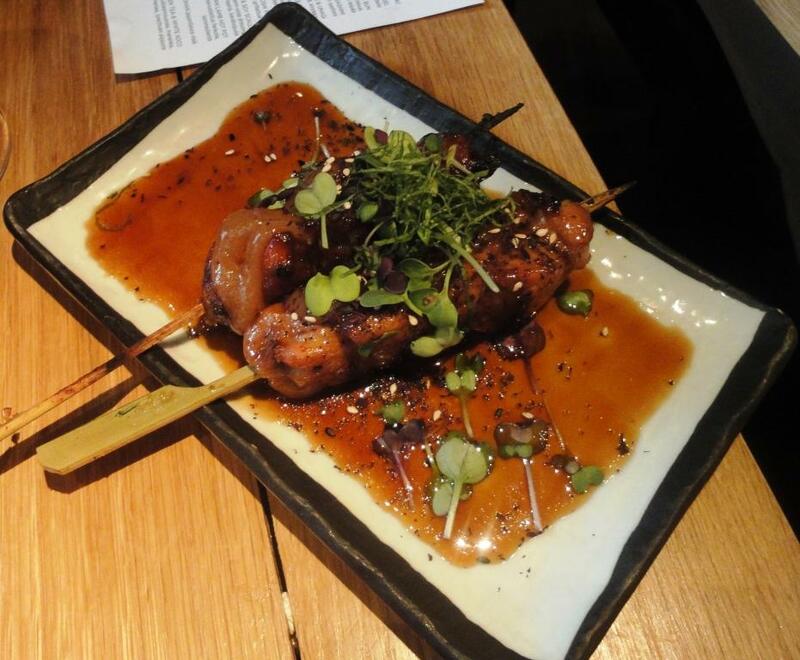 There are also some other restaurants which could be designated like Copas y Tapas, Meche or Spis, see reviews at reijosfood.com. 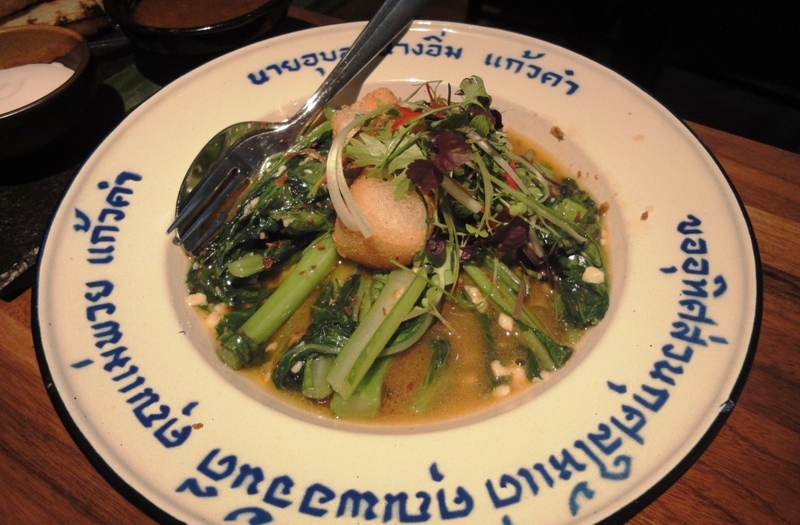 Farang is a restaurant which serves modern Asian cuisine, located within the premises of the historical Kunsthalle. 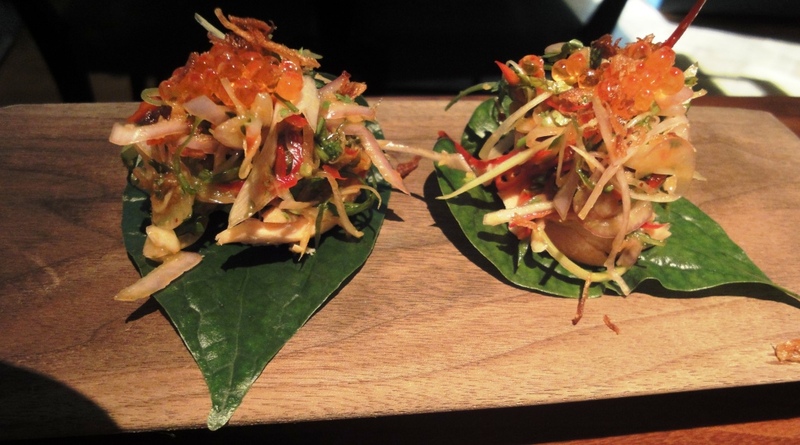 Farang offers unique and fresh flavors from Southeast Asia. 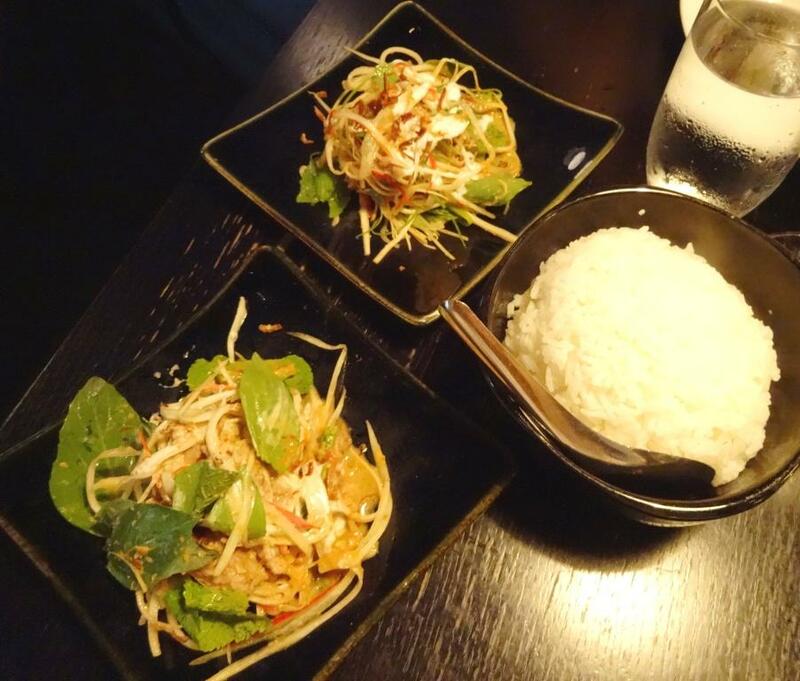 Restaurant’s simplified, modern and atmospheric decor combined with the warm service and strong expertise in Asian cuisine creates an excellent setting for a comprehensive dining experience. One can also drink aperitif in the bar inside dining room and observe other diners. 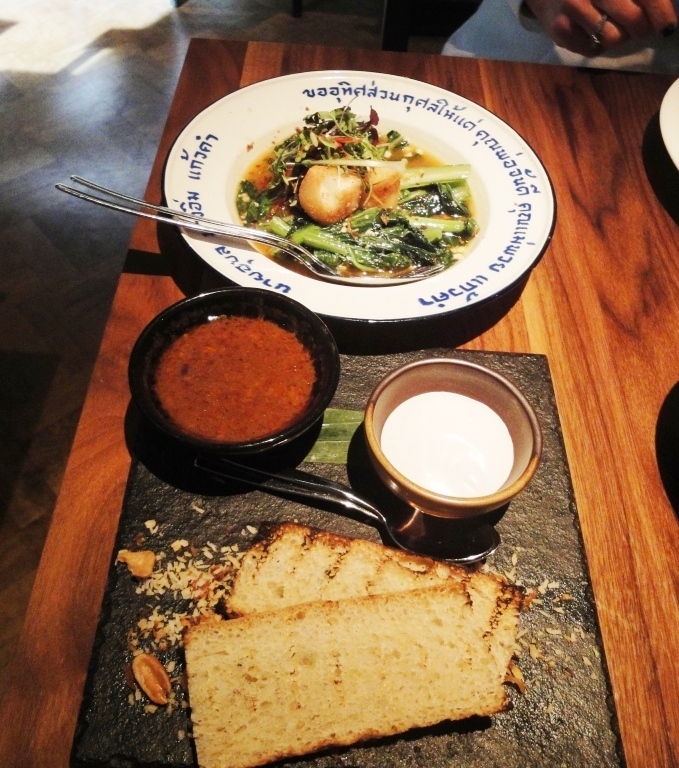 Farang is mentioned on Michelin guide as charming and best value restaurant. 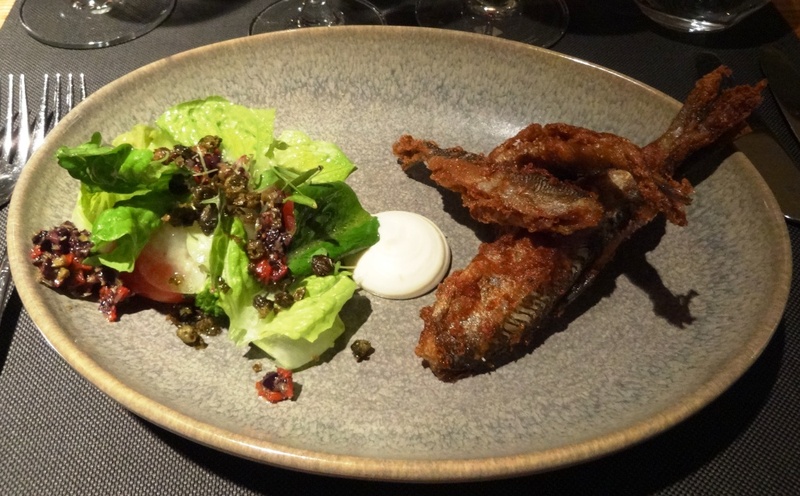 First dish was superb, rolled leaf around trout and enjoyed crisp and tasty dish. Kingfish was soft and spicy dressing complemented the flavour of fish. Crab was crispy but maybe a little bit too much fried. 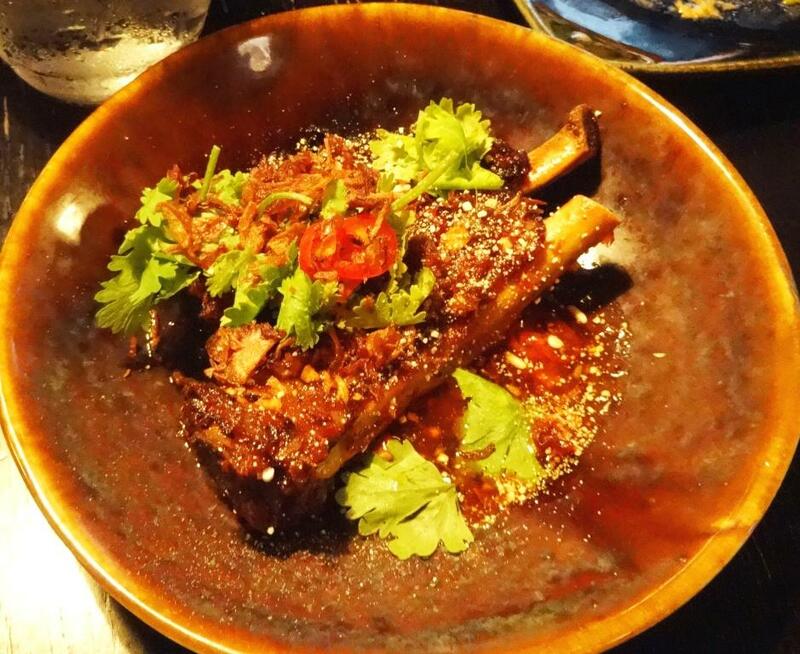 One of the favourites crispy pork with palmsugar caramel did not disappoint. In Taste of Helsinki it was a little bit over cooked but in an authentic environment just perfect. Tofu and thai roti bread were excellent; one could have eaten only bread with those sauces. Chinese watergrass is close to spinach. 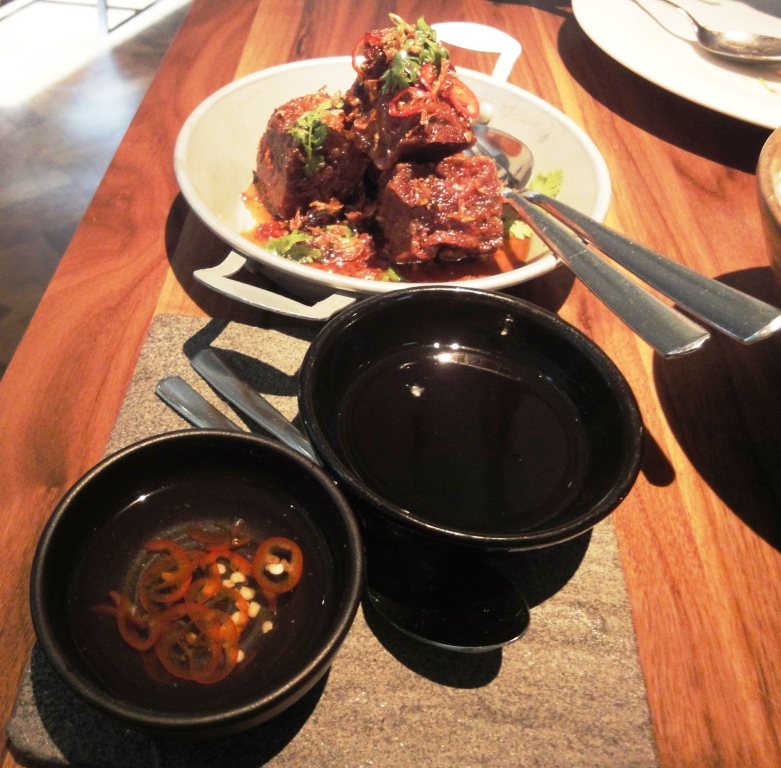 Veal cheek was tender and with dressing a great experience. 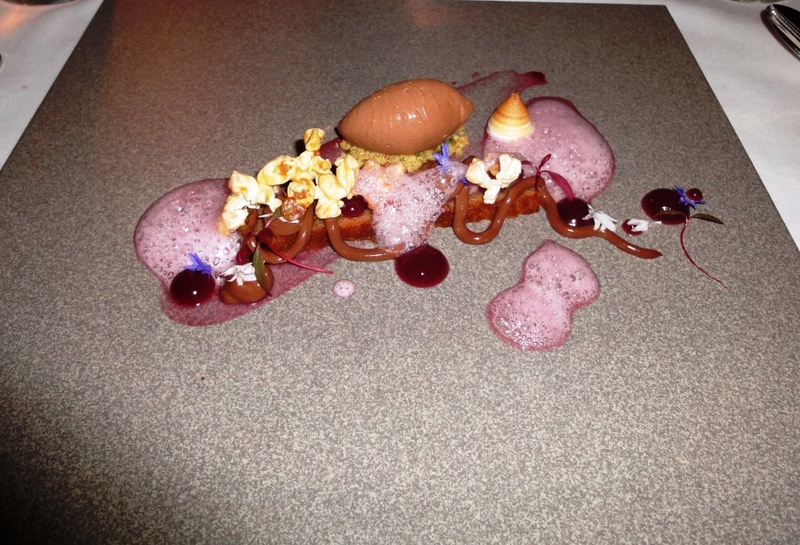 Dessert was 4th version of Hola Hola, tasted better than we had a year ago. Tasting menu has not changed much since eaten last time, but can absolutely recommend it becase one has a chance to get familiar with different asian flavours. 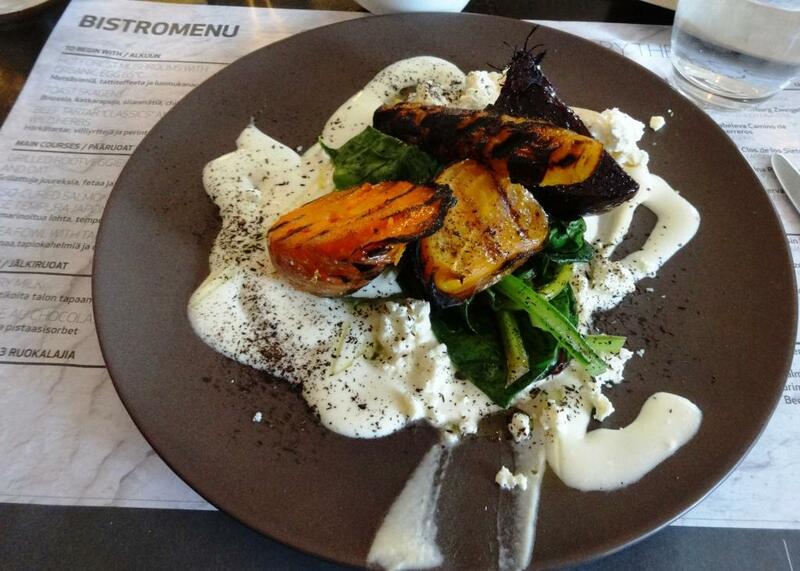 By ordering from a la carte list only few savors can be enjoyed. Farang has few own Australian wines on their wine list. Red one suited well with pork and veal. Only annoying fact due to strong and delicious aroma of spices is that one might need to air clothing after scrumptious dining. 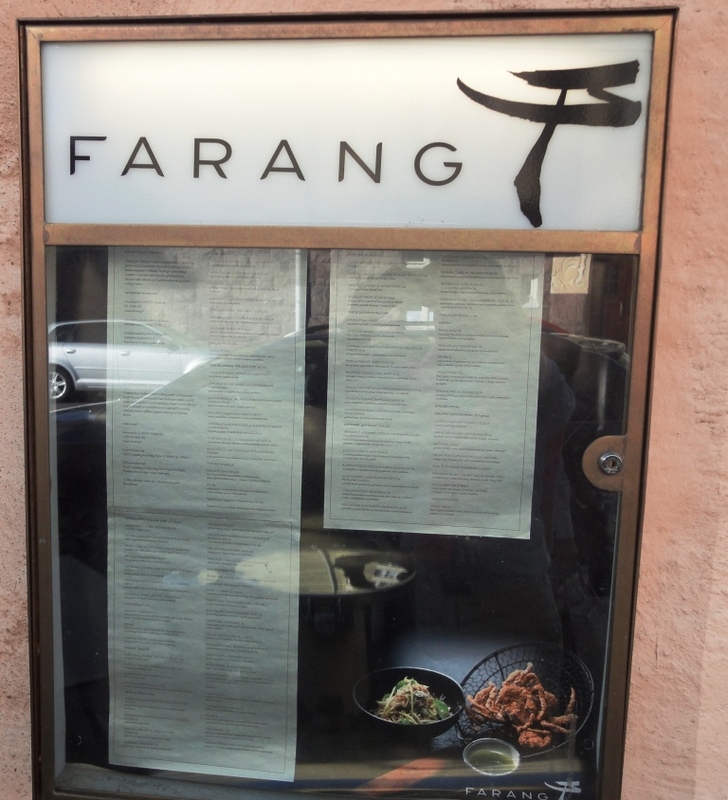 Note: Farang is closed 2.7 – 30.7 due to summer vacations. Prepare to book table well in advance as restaurant is always full. 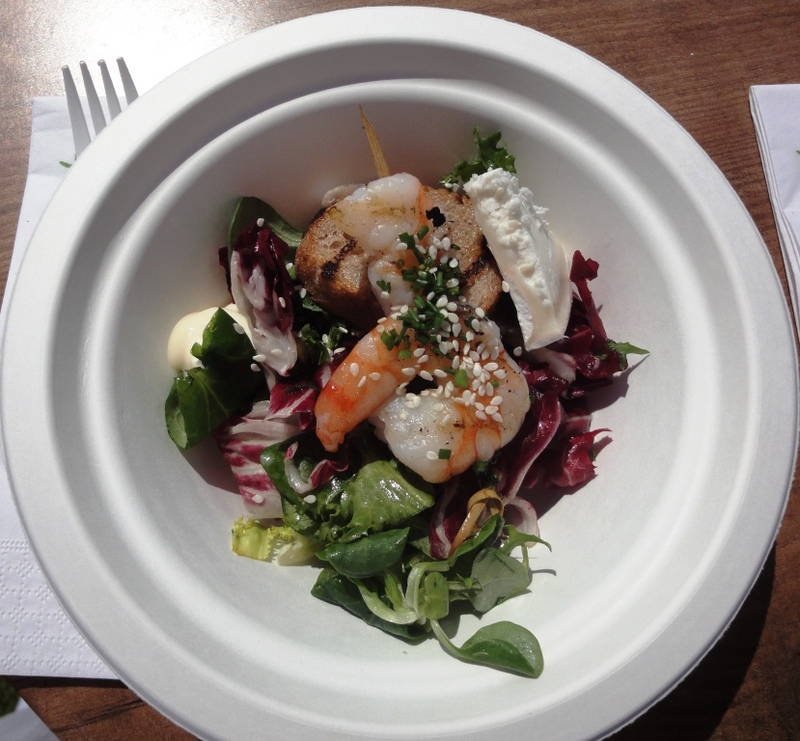 Part II includes reviews of tasted dishes at Taste of Helsinki. Small disappointment was that none of the restaurants offered fresh fish for main course even though Helsinki is located by the sea. However, all dishes were delicious. Plastic cutlery was understandable, but caused some challenges. Must say that chefs made good job in a hurry. All dishes were well prepared and outlooks were perfect. Decided to taste for starters Gambas Paris from restaurant Bistro o Mat Grilled prawns, goat cheese, salad and grilled garlic bread which was excellent. Grill was outside by the restaurant marquee. 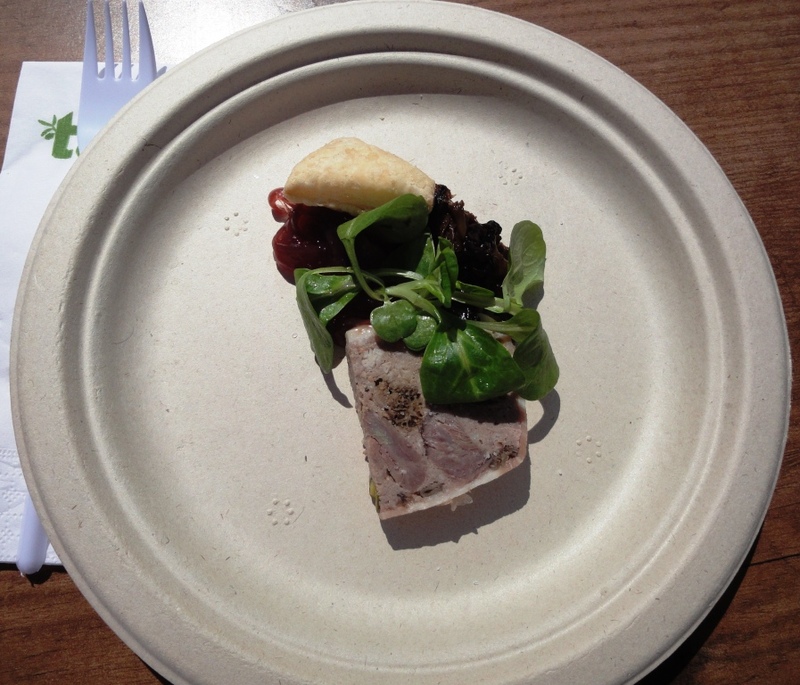 From restaurant Muru (restaurant of the year 2012) Pate from Sir Lintsi, marinated swamps and red onion compote which was scrumptious, especially sweet onion compote. 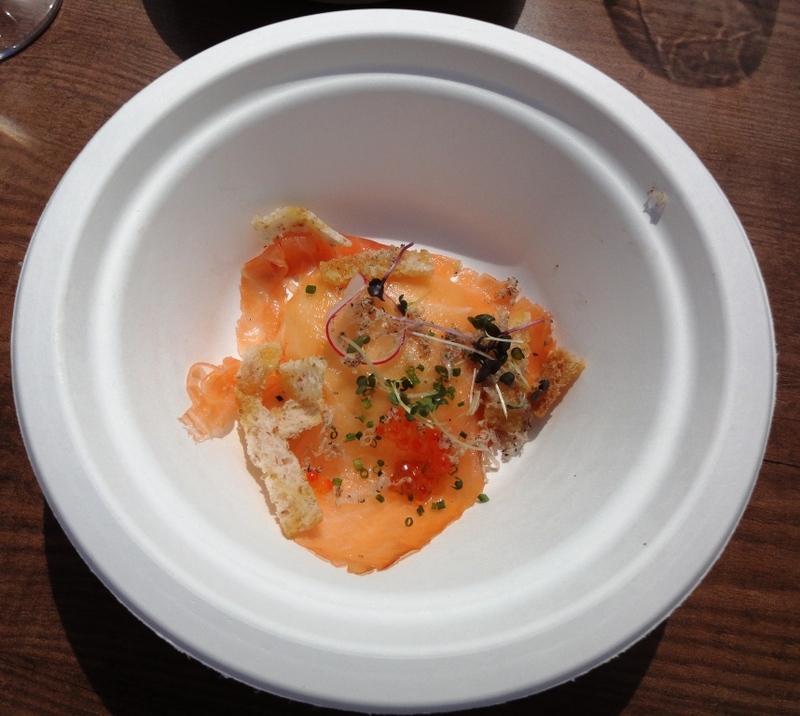 From Demo (1 Michelin star) ate Cold-smoked salmon and truffle potato pyre, excellent choice. 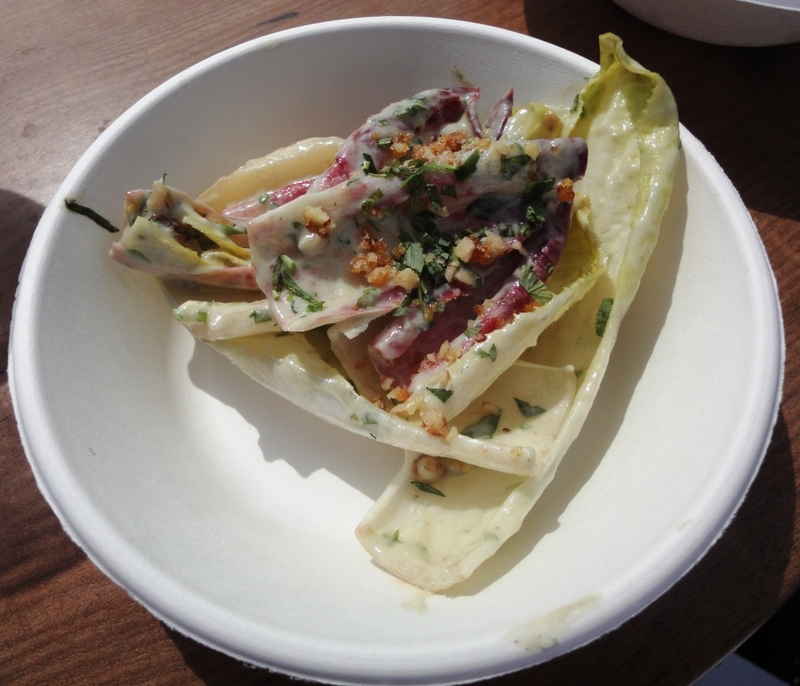 And from Carelia fetched Endive-Aura Gold salad with caramelized walnuts, maybe Aura Gold should have been without alloy. 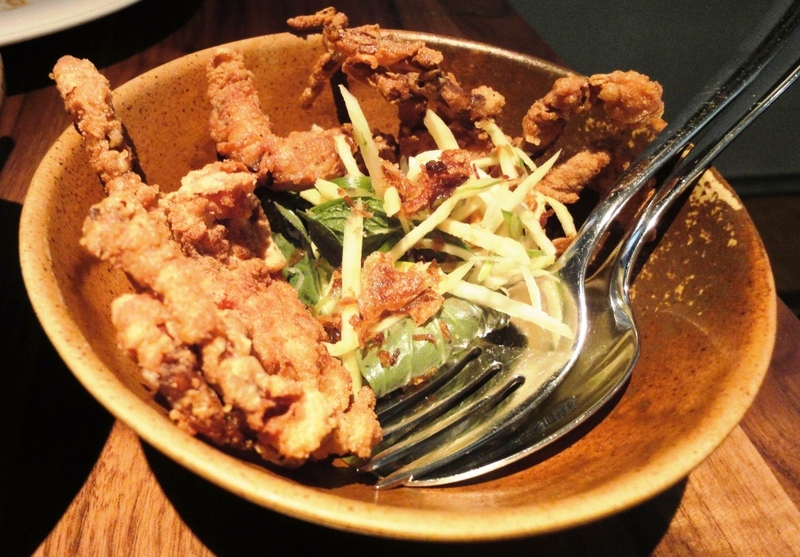 Chose for main courses from restaurant Farang Crispy pork, palm sugar caramel and rice vinegar which was really crisp but little bit difficult to eat with plastic fork. 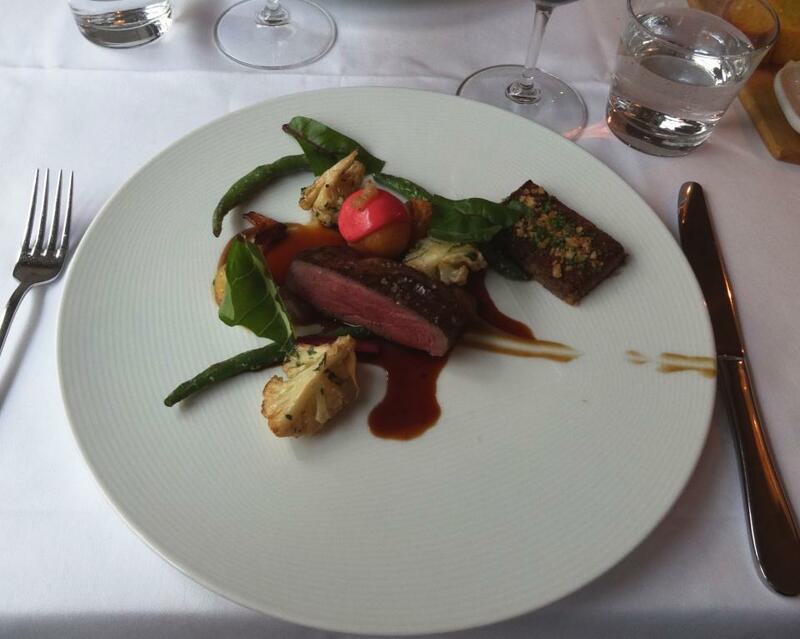 From restaurant Smör Organic lamb, early potato and ice herb, maybe best of all dishes. 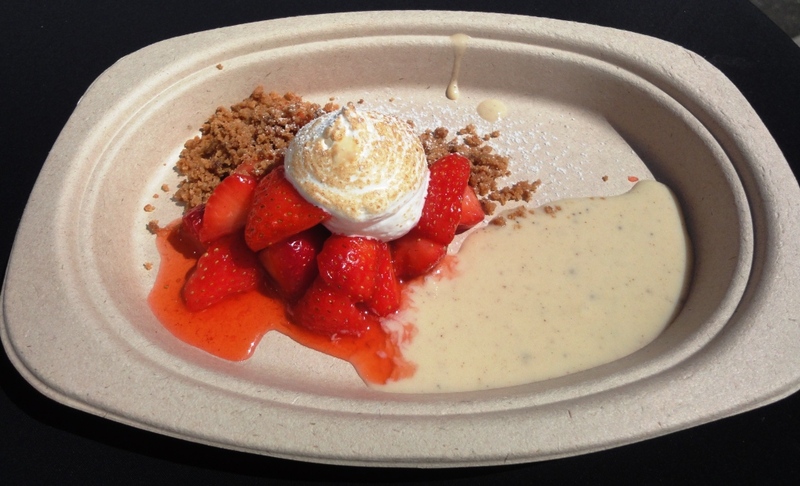 For dessert had Tiramisu from Toscanini and Fraise, strawberries and meringue from Bistro o Mat. 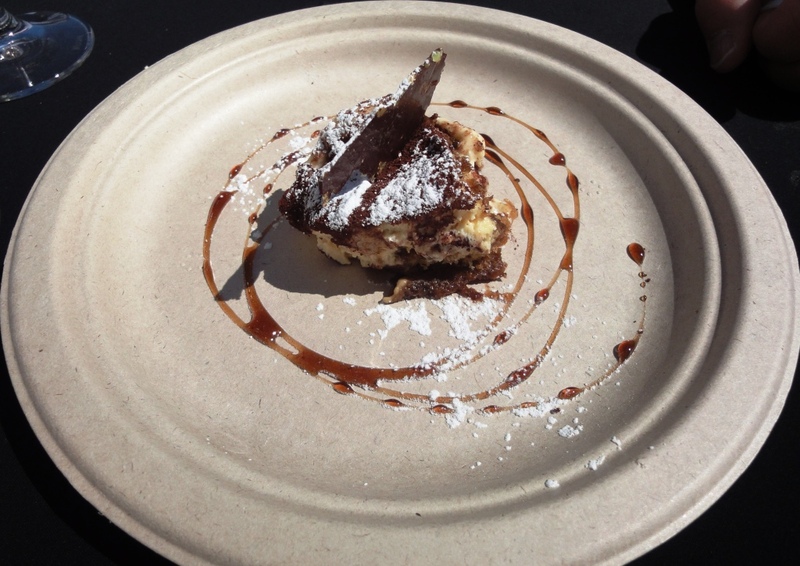 Tiramisu is always sweet, Italian restaurant Toscanini is located near Tomi Björks restaurants Gaijin and Boulevard Social. Meringue was tasty, totally different experience one gets in most cases. 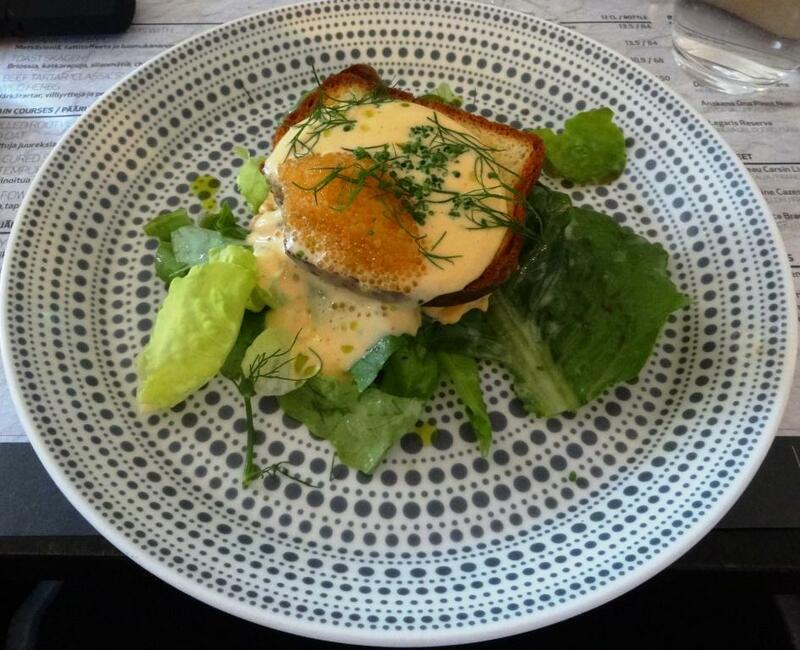 Must visit Bistro o Mat soon although it is located in Kirkkonummi. 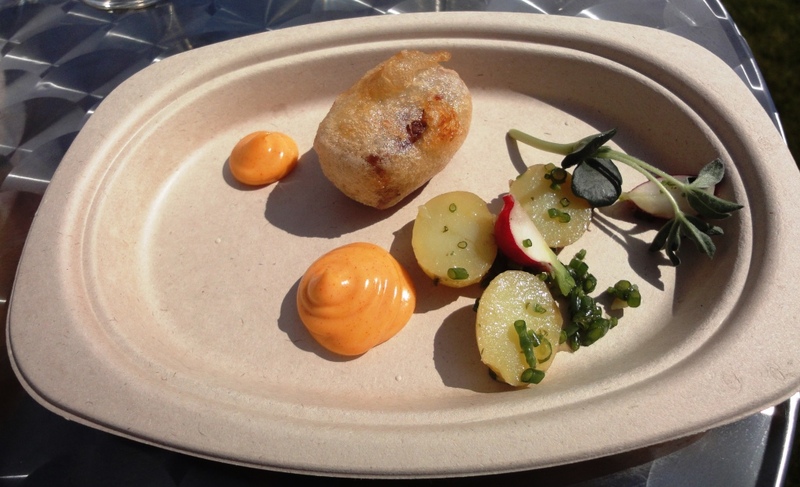 This time reviews are for all dishes, not for different restaurant kitchens. One can not either judge service as food was served over the counter. 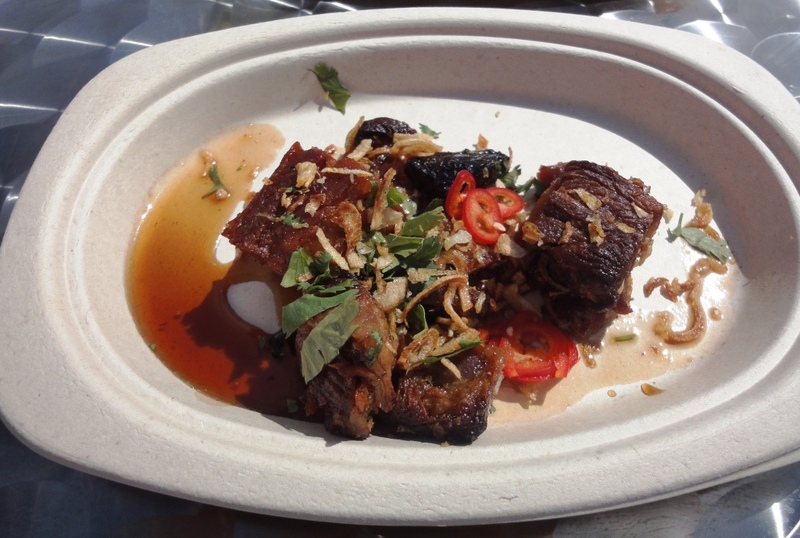 All dishes provided possibility to relish gourmet food. Because weather was so good open air event succeeded 100%. Only minus was lack of tabels and chairs.